The 2019 Stud Groom of the Year is designed to recognise and reward those working hard behind the scenes in our equine breeding industry. The competition aims to find a dedicated stud groom who is passionate about the industry with excellent horsemanship that is willing to go above and beyond for the stud they work for. The 2019 winner will be recognised by both NRM and Kentucky Equine Research as New Zealand’s Stud Groom of the Year and sent on a trip to Melbourne Australia to grow their knowledge of equine nutrition and best practice. In Melbourne, they will be escorted by the Australian team of KER to a local Stud relevant to their specific industry and on to an equine veterinary clinic. Must be currently working on any form of equine stud operation with at least six months of experience on a stud. Must have a good understanding of horse welfare needs and demonstrate excellent horsemanship daily. Must demonstrate genuine care for the stud they are working with and work towards the improvement and success of the stud. Must demonstrate a good understanding of the day to day running of the stud farm and how the total operation works. Must demonstrate a willingness to work hard and go above and beyond what is expected of them for the stud they work for. Must have a positive attitude to work and show they are passionate about what they do. Must show evidence of teamwork, have a positive attitude towards other staff at the stud and be keen to learn from others and help others learn. Applications closed 31st March 2019. 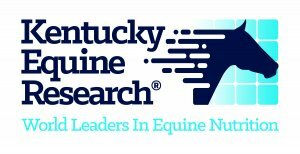 Kentucky Equine Research® was founded in 1988 by Joe Pagan, Ph.D., with one primary goal: to serve as a conduit for the free flow of information from research laboratories to feed manufacturers and ultimately to horse owners. Soon after earning his doctorate from Cornell University, Pagan realized the scientific advances taking place in academia were not being passed on to those that needed it most. Many feed manufacturers understood and supported Pagan’s concept, as they wanted to create and market science-backed products that appealed to conscientious horse owners. Over 30 years, Kentucky Equine Research has become the global authority on applying equine nutrition science within the feed industry. Proudly owned and manufactured in New Zealand with over 120 years of experience NRM is passionate about animal nutrition. NRM offers a range of feeds to suit the diverse needs of horses through every stage or activity level of their life, from the growing youngster to the high-performance athlete. NRM feeds and the technical nutrition team take the guess work out of choosing the right diet for your horse.